Recently I made a tire wall. I plan to make more. Thought I'd share some of what I learned. The basic idea I saw in a post by Gloveman of Adelaide, Australia on SlotForum. These are 1/32 scale walls of tires wrapped in conveyor belting. The wall is very flexible. It will work on banked curves and hills. It also can be installed on a track so that it is easy to remove and reinstall. Because the surface of the wall is smooth and very flexible, cars should suffer very little damage, if any, when crashing into it. Here are the steps I used to make it. 1. Buy hose/tubing with OD = 0.78” - 0.88” (20mm – 22mm) and ID = 0.56” - 0.63” (14mm – 16mm). Garden hose is usually cheapest for lengths over 25'. Fifty feet of 5/8” ID commercial grade black rubber hose costs about $30, or $0.60/ft. Washing machine drain hose with 5/8” ID is a little softer and usually cheaper for lengths under 20'. It costs about $1.40/ft. 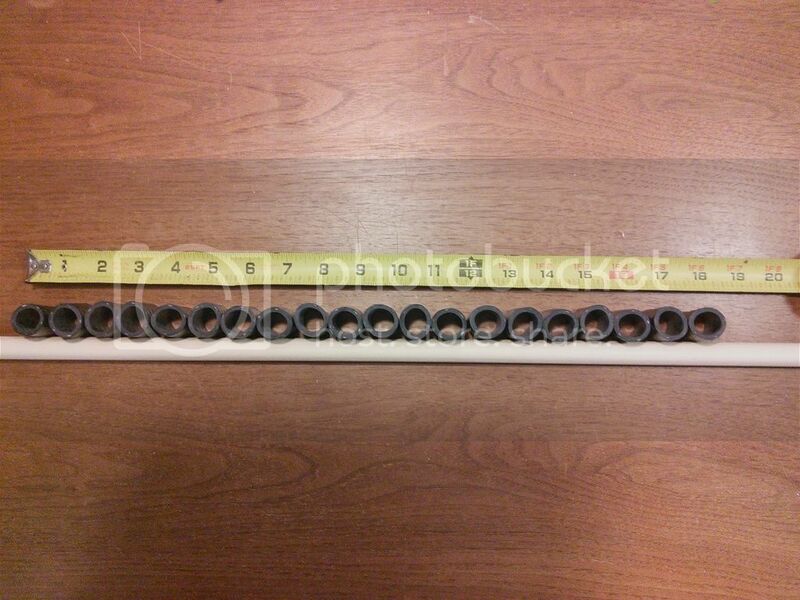 Buna-N Rubber Tubing with 5/8” ID & 7/8” OD, is softer and costs about $2.00/ft. An ID of 5/8” implies a rim size of about 20” at 1/32 scale. An ID of 9/16” implies a rim size of about 18”. 2. 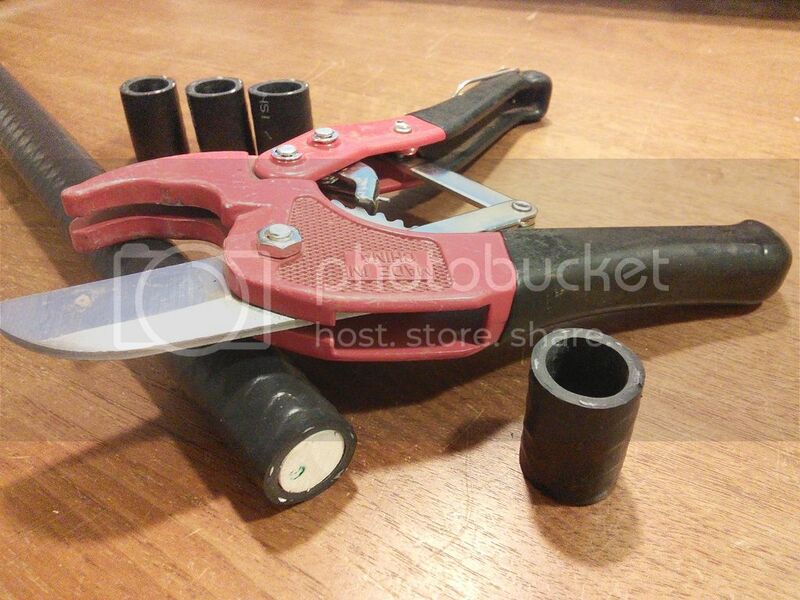 Cut pieces of hose 25mm to 28mm long (1.00” to 1.12” long) using a PVC pipe cutter or sharp knife. Each piece represents a stack of 3 - 4 tires. All pieces do not have to be exactly the same length. To facilitate making square cuts, I placed a 5/8” diameter wooden dowel inside my 5/8” ID tubing, flush at the end for each cut. 3. Paint each tire stack with flat black, if needed. Not needed if hose/tubing is black. 4. Place tire stacks side by side in gig made of a base and 2 thin strips of molding spaced 1.16” apart. 5. Cut a piece of 1” wide tape 2 times longer than the tire wall you're making, plus an additional 6”. Gorilla Tape To-Go Handy 1” Roll is ideal for this purpose. It is black and .015” thick, twice as thick as common duct tape. 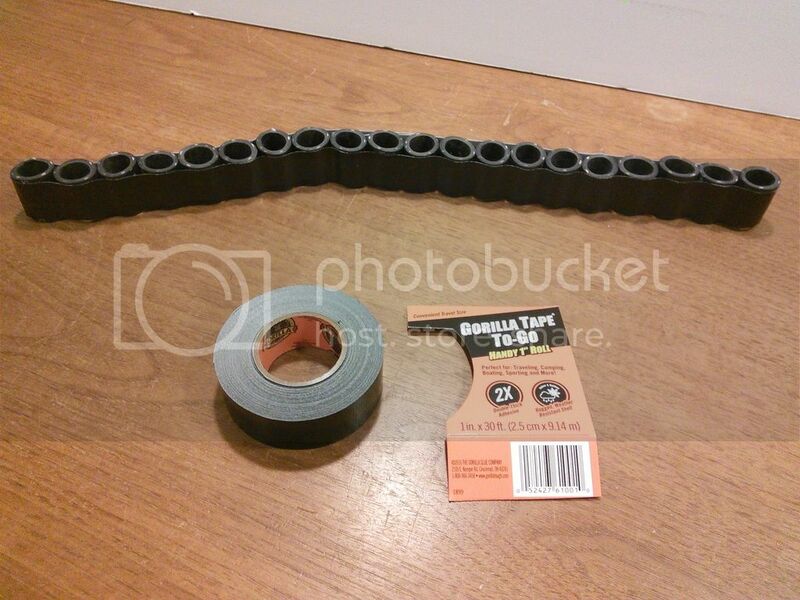 This tape simulates 1/2” thick x 32” wide rubber belting. 6. If desired, place a sticker/decal in the middle of the tape or add stripes with different color tape. 7. Place tape on top of tire stacks and then press down between the pieces with your finger. No need to press down much for use in straight section of track. 8. Remove the whole lot from the gig, flip over, and place on bench. Now fold ends of tape over and repeat the process of pressing down tape between stacks of tires. 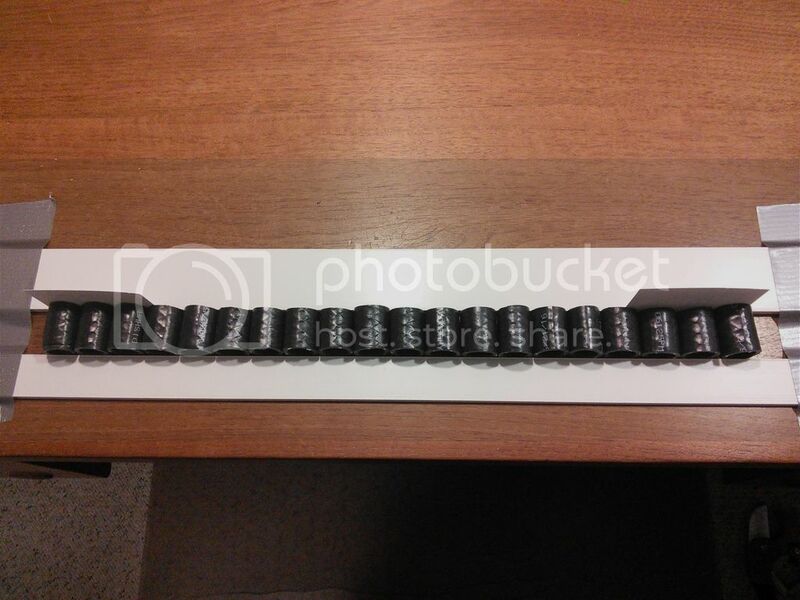 An alternative to making your own is to buy tyre walls from Slot Track Scenics. A set of 5 tyre wall sections, when placed end to end, form a continuous wall 17 1/8” long. The set cost about $13.00, or more than $9.00/ft. That does not include the belt wrapping. Five strips of plain black tyre cover material, each long enough to wrap round 2 sections of tyre wall sells for $6.80. As some of you may have noticed, most of my tires are not perfectly round. They're oval shaped. That's because the hose came off a coil and it was somewhat deformed when coiled. I left a 5/8" dowel in the hose for about a day, hoping that would permanently straighten it and eliminate the deformation. It had very little lasting affect. Does anyone know how to straigten new hose from a coil? Does anyone have any other ideas for making tire walls? Did you remove the photos? I cannot see them here or on the page. Do the dowel trick but heat it with a heat gun. Then let it cool completely before removing the dowel. You can run it under ice cold water to save cooling time.